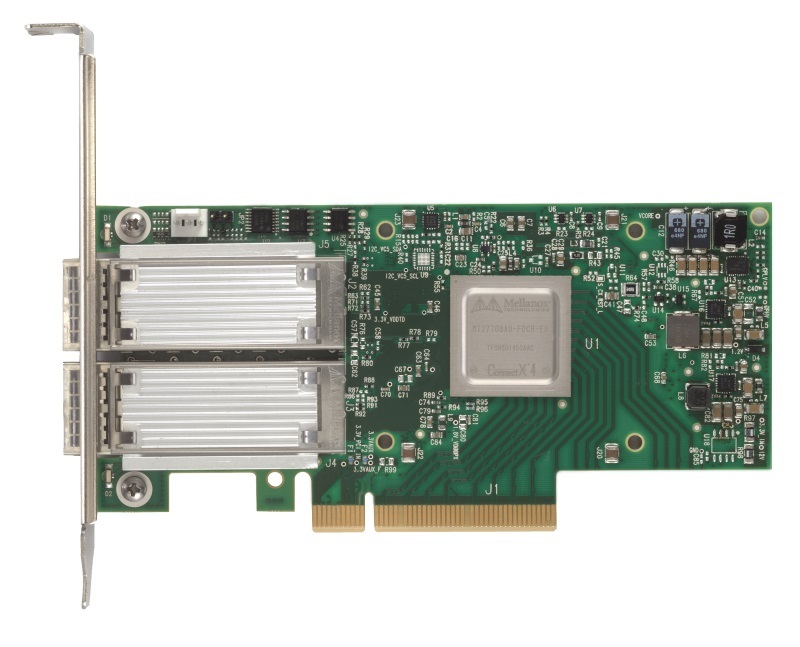 ConnectX-5 Intelligent adapters introduce new acceleration engines for maximizing NVMe over Fabrics™ (NVMe-oF™) connectivity. 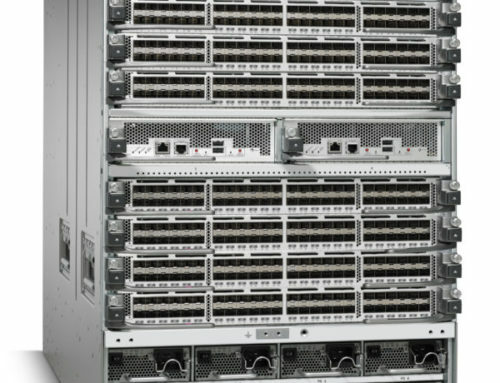 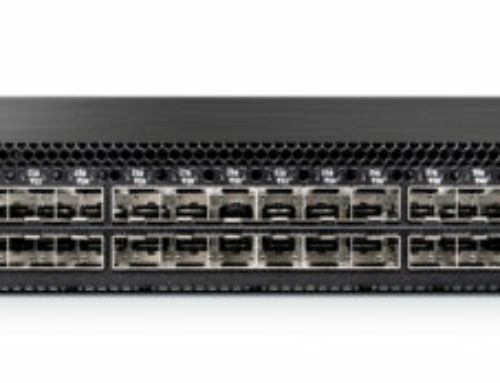 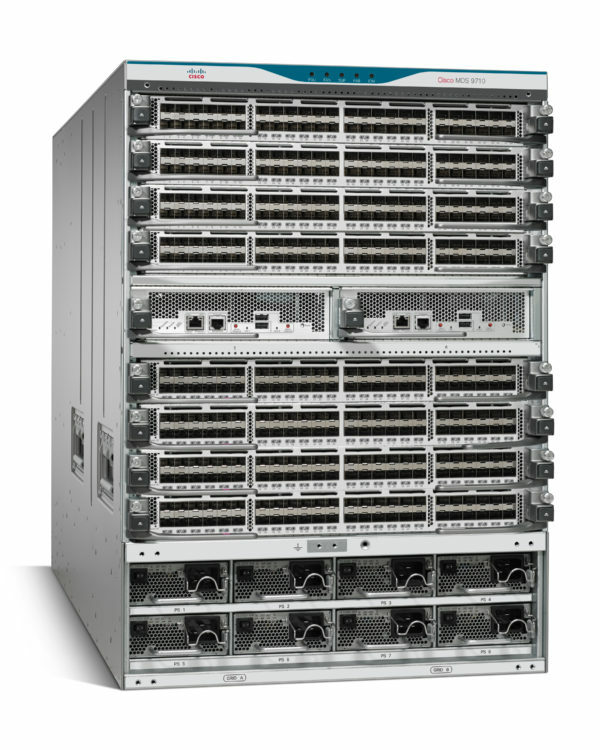 They support two ports of 100Gb/s Ethernet and InfiniBand connectivity, sub-700 nanosecond latency, and a very high message rate, plus NVMe-oF, TCP, and RDMA offloads, providing the highest performance and most flexible networking. 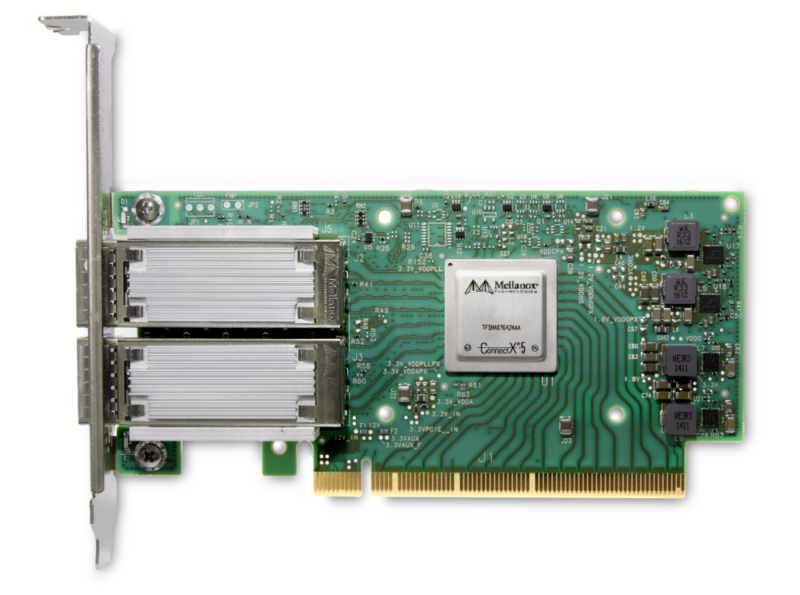 Accelerators for SPDK, T-10 DIF, and erasure coding also speed storage performance. Support for PCIe Gen4 and direct data transfers to/from GPUs, SSDs, and persistent memory enable faster storage networking without overloading the CPU. 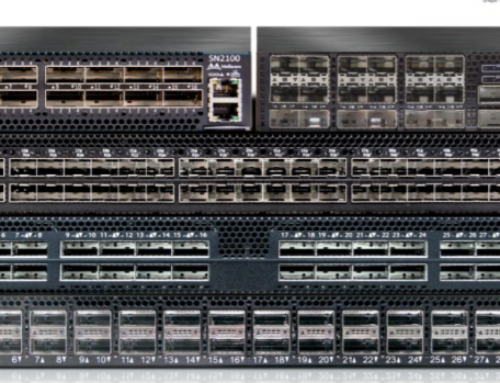 ConnectX-5 dramatically improves performance and efficiency for Cloud, networking, hyperconverged infrastructure, machine learning, storage, and big data.